The means of transportation by car is most convenient, but it is also possible to move by using public transportation. 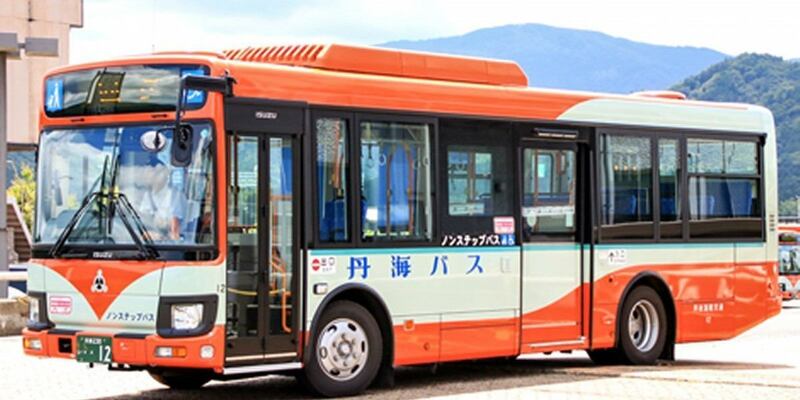 If you are from Osaka or Kyoto, you can get on a 200 yen bus from Mineyama Station or Amino Station by connecting a high-speed bus or train. If you are worried about snow, we recommend using public transportation. ◆In winter, when snowing, it is essential to have non-slip such as studless tires and tire chains. If we can contact you before departure we will inform you about the weather condition of the day. Please refer to the Kyotango City Public Transportation Guidebook for details. Public transport guidebook is here. See P7P8. There are also express buses from Osaka Hankyu Umeda or Kyoto Eki-mae. From Osaka, please transfer to Tankai Bus (upper limit 200 yen bus) at Mineyama Station, and from Kyoto at Tankai Bus Amino Station or Mineyama Station. For details, please check the following website. The high-speed bus website from Kyoto and Osaka is here.